LoofCo Washing-Up Pads are skilfully hand-made in Egypt from loofah plant. A 100% biodegradable alternative to plastic washing-up sponges. The Washing-Up Loofah Pad fits neatly into the hand & when immersed in water swells up to become a soft, spongy and flexible pad. It’s soft enough for non-stick pans and supple enough to fit into mugs. Each durable pad will last for months and when worn out can be composted. 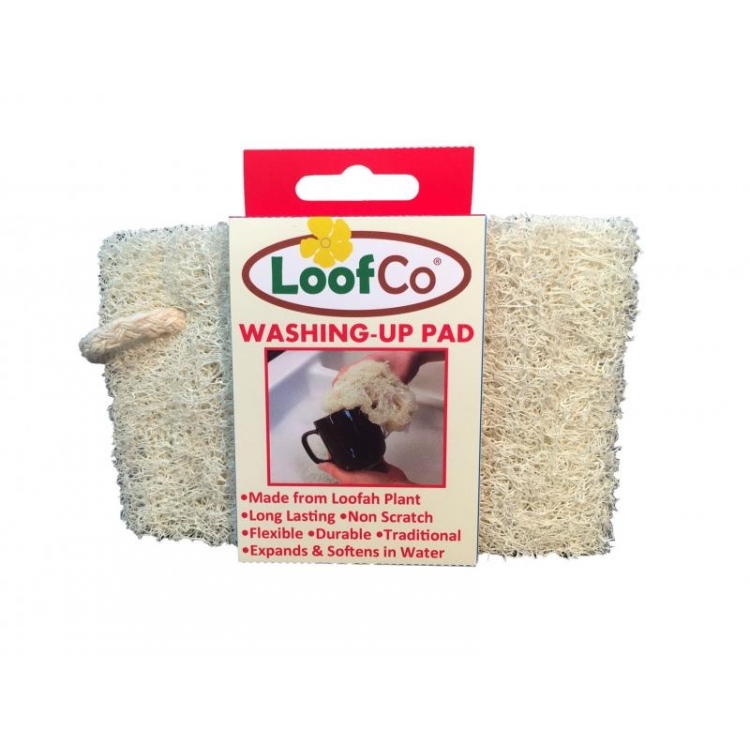 Each pad measures 13cm x 8cm loofah in packaging with a convenient cotton hanging string. Flattened for transport to save space.